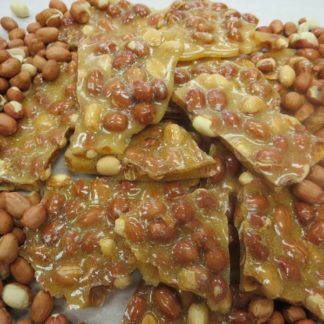 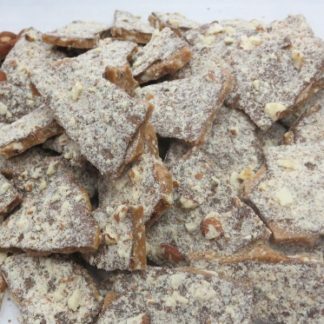 Made by hand using only fresh and pure ingredients, our sugar-free butter almond toffee is so delicious and satisfying. 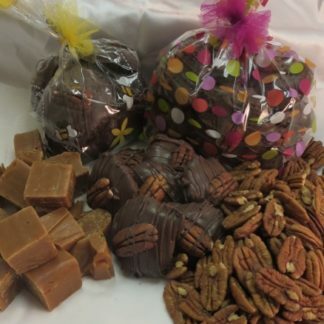 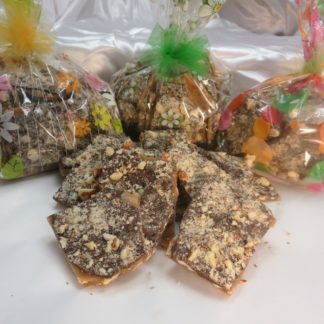 One of the best sellers in our shoppe, our sugar-free toffee is a layer of the hard candy toffee filled with almonds, a light coating of our sugar-free dark chocolate and then a heavy sprinkling of more chopped almonds. 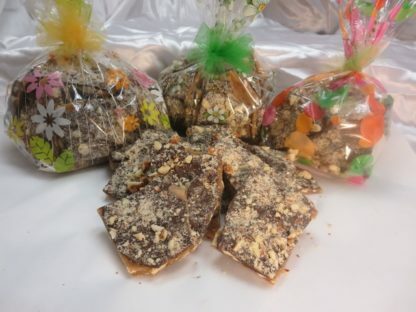 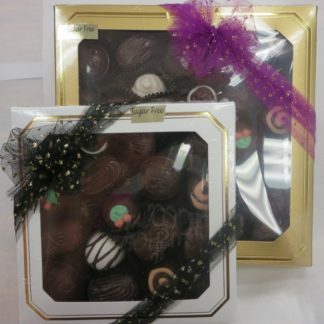 An amazing, sweet, crunchy combination that will satisfy and exceed your every expectation!